July 23, 2018 (Lincolnshire, Ill.) – For more than 160 years, American manufacturer Klein Tools has produced the highest quality, professional-grade hand tools for tradespeople. Today, the sixth-generation, family-owned company brought its innovative U.S.-made products to the White House as part of its “Made in America Product Showcase,” which features American-made products from 50 companies representing their home states. 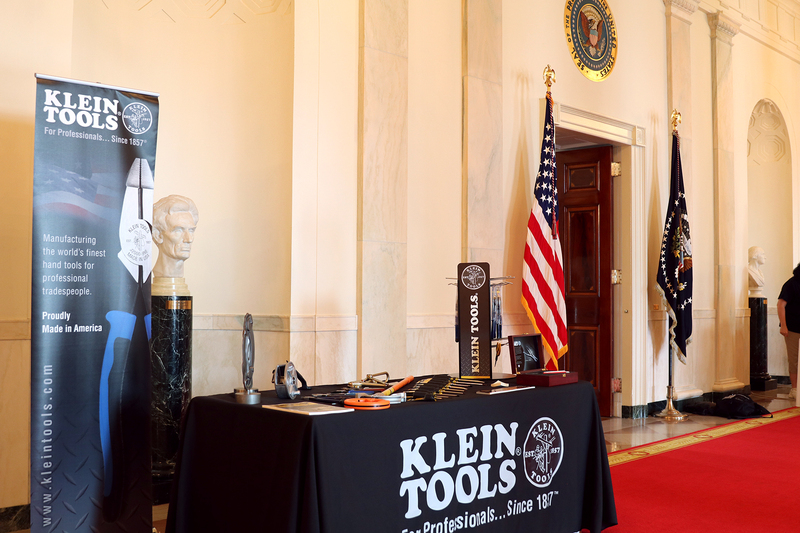 Klein Tools was invited by President Donald J. Trump, Vice President Mike Pence, members of the Administration and White House staff to represent Illinois at this year’s event due to the company’s ongoing commitment to manufacturing tools and supporting jobs in the United States. 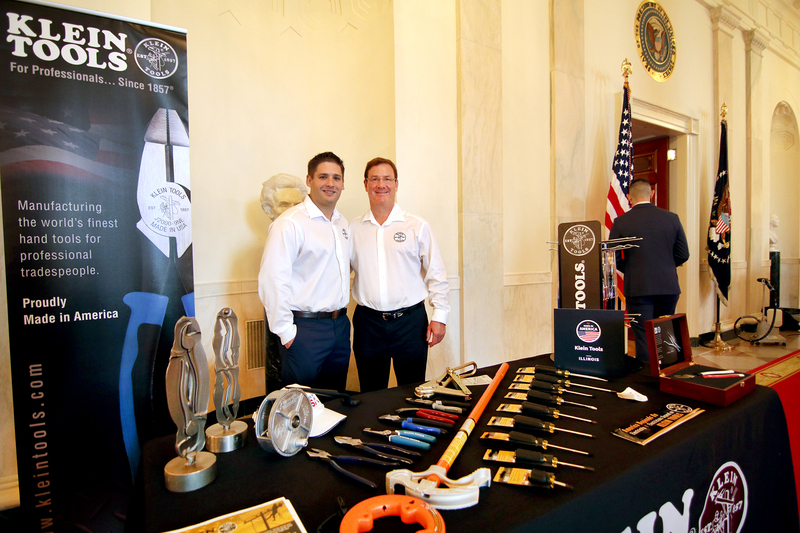 Klein Tools' Chairman Tom Klein Sr. and Director of Product Management David Klein represented Illinois during the 2018 'Made in America Product Showcase' at the White House on July 23, 2018. Founded in 1857, Klein Tools designs, develops and manufactures premium-quality, professional-grade hand tools used in the construction, electrical, utility and mining industries. Klein Tools’ commitment to American manufacturing runs deep – with eight facilities in six states, including its corporate office and world-class forging facility in suburban Chicago, and its state-of-the-art manufacturing headquarters in Mansfield, Texas. To combat the nationwide skills gap and attract new talent to the fields that use Klein Tools products every day, the company partners with and donates to multiple organizations that provide training for aspiring tradespeople. “We are proud not only to be part of driving awareness and support for the American manufacturing industry, but also for the skilled trades as a whole,” Klein continues. “We put a lot of resources behind encouraging and training the next generation to enter the skilled trades through our support of technical schools and universities that provide manufacturing, engineering and CNC machining curriculums. Through ongoing investments in research and development, Klein Tools continues to add new products to its line of American-made products, including the new Hybrid Pliers, Heavy-Duty Wire Stripper, Long-Nose Wire Stripper/Crimper, All-Purpose Electrician’s Scissors and Heavy-Duty Diagonal-Cutting Pliers. “We are proud to be an American manufacturer that not only supplies tradespeople with quality products, but also is doing its part to support the next generation of America’s skilled workforce. With more American tradespeople, the stronger America will be,” adds Klein. For more information about Klein Tools and its American manufacturing, please visit: www.kleintools.com.